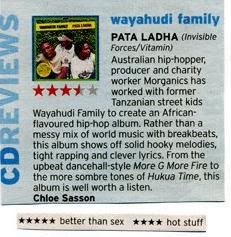 It seems the wayahudi family are receiving some good press for their album. it got a 3 1/2 stars and some good press in some of the music rags. good work boys, keep up the bumpin good work.